Pre-Code Retro is my examination of post-1934 media that is heavily influenced by or significantly related to pre-Code cinema. What is it about having your fortune told? Why is it so appealing? It’s all a lot of nonsense– you know it and I know it. But… is there a gypsy in the house? 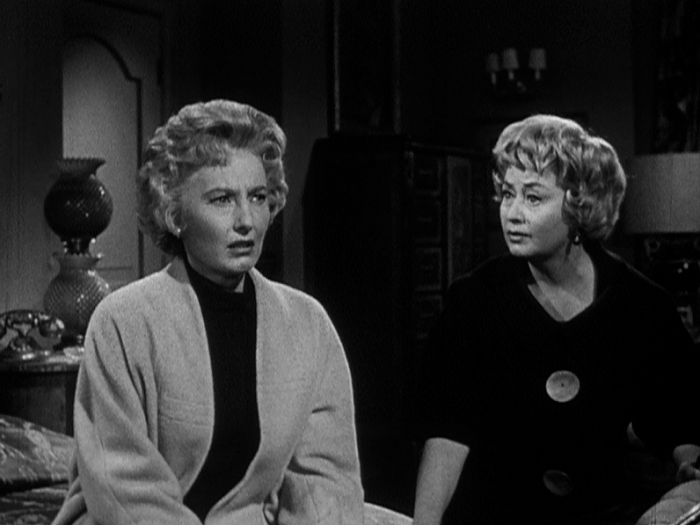 Barbara Stanwyck and Joan Blondell only appeared on screen together three times during their long careers: the pre-Code films Illicit, Night Nurse, and in one episode of Stanwyck’s 1961 anthology show– “Sign of the Zodiac.” The two actress’ have chemistry like few others, so it’s always kind of a shock that they had so few chances to display it. And while their two pre-Code films are about close female friendship in tough circumstances, “Sign of the Zodiac” is about a different kind of friendship– one forged out of manipulation and horror. But first, a message from our sponsors to explain what “The Barbara Stanwyck Show” was all about. Anthology shows were popular in the late-50s, as “The Loretta Young Show” (yes, another pre-Code starlet) gobbled up accolades and ratings from 1953 to ending in 1961. 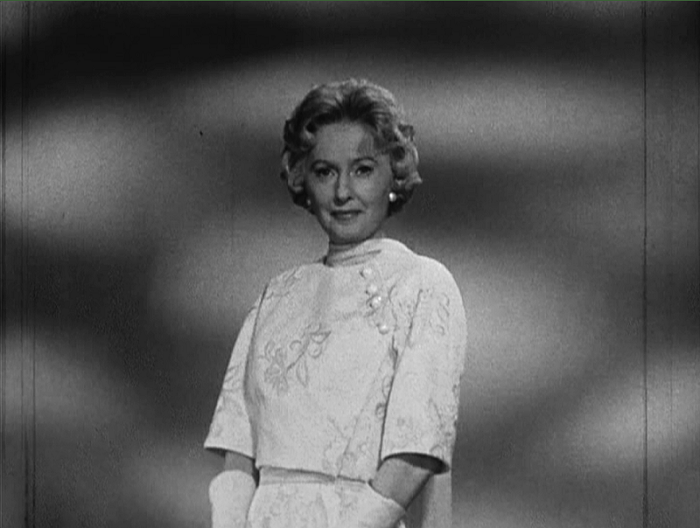 Stanwyck was given her own show on NBC in response, and the format is fairly benign: a piano opening that sounds like “As Time Goes By” and then an introduction from Stanwyck in a gorgeous evening gown. She often made jokes, and thanked the sponsor. 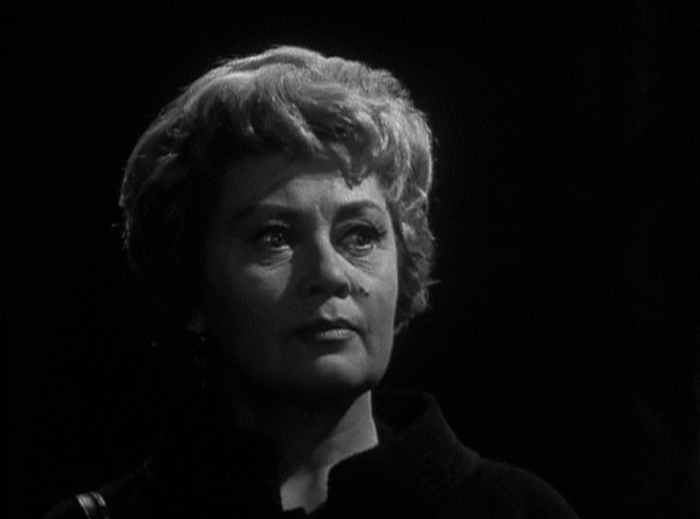 Then the episode starring Stanwyck and a cadre of respected stars, followed by a few parting words from Stanwyck. It’s the pre-Code dynamic duo all grown up! It’s a beautiful black and white show, though wholly stuck in the conventions of early-60s television– both for good and bad. The show often had great writers and directors working behind the scenes, including this episode’s helmer, Jacques Tourneur (Cat People, Out of the Past). The show’s biggest problem comes from– of course– network mandated ‘happy endings’ for each piece, often forcing a tight script to have a two or three minute coda tacked on that removes much of the impact of the tense narrative. But Stanwyck is there, older but just as keen and vivacious as ever. Though this site isn’t really about it, she went from the sudden stardom of the early 30s to being one of the highest and most prestigious actresses in the world by the mid-40s. That tapered off, though, and Stanwyck struggled to do the kind of work she wanted to do in eternally youth conscious Hollywood. 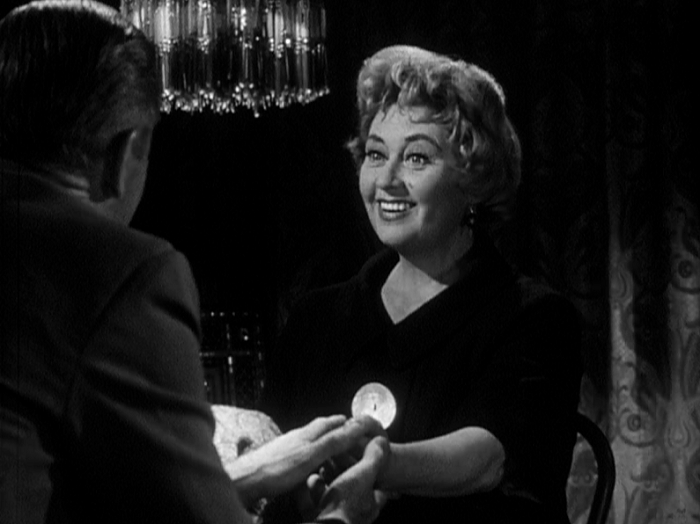 “Sign of the Zodiac” and other episodes of the series exploited that, giving Stanwyck a wide variety of roles to test her mettle against. Here she’s Madge, a widower, who convinced to see a psychic by her sister-in-law Helene. That’s Blondell, wide eyed and playful. 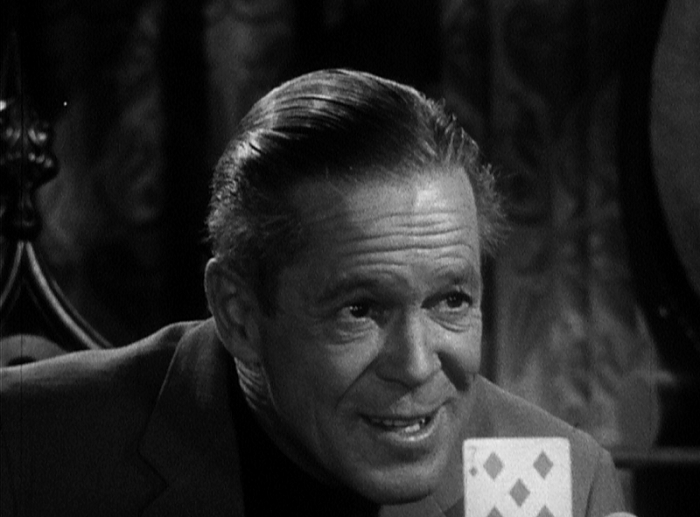 The psychic, Pierre (Dan Duryea), is a bit off kilter but promises that he can talk to Madge’s dead husband who’d died under mysterious circumstances– and the ghost doesn’t sound too happy. 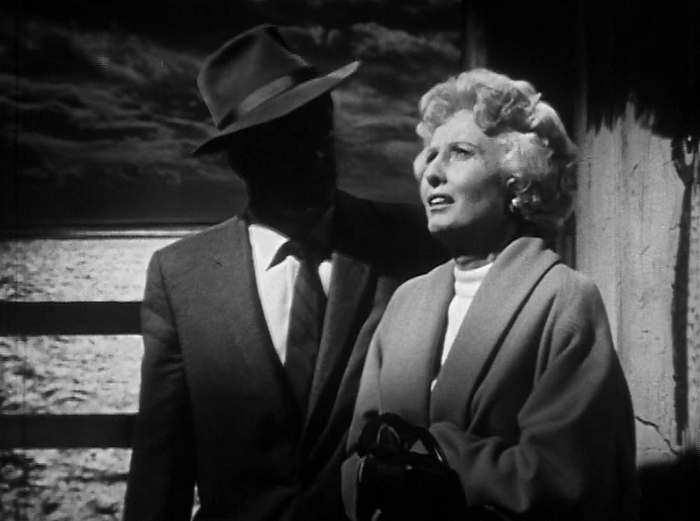 Jacques Tourneur’s direction makes this one special, bathing the seedy docks in shadows and turning Stanwyck’s face into a mask of horror. Duryea is slimy but appealing, towing the line between shady psychic and a man with the courage of his convictions: up until the end, you’re not sure whose side he’s on. And Blondell and Stanwyck have a nice chemistry, too, with a feeling of incongruity whose source is only revealed in the final few minutes of the run time. But, as I mentioned above, the show’s final moments, in a desperate attempt to pull out the rug one more time from the audience. Helene and Pierre had conspired to force Madge to confess to her husband’s murder, but, as Pierre unravels in the final twist, Madge didn’t kill her husband. Helene tricked her into believing it so that she can inherit her brother’s fortune. The leaves us with the weird situation where the psychic is the honest, moral one, as he vows to help Madge learn the truth and send Helene packing. The twist is pretty goofy, made much worse because Madge leaves on the perfect note to end the episode on. Pierre had earlier told her that he believed that seagulls were the reincarnated dead, their squawks an incomprehensible cry from the doomed. Madge is hauled away from the police, still pondering the riddle, absolutely unhinged with disbelief and numb from horror. Barbara Stanwyck IS Foxy Brown! Blondell and Stanwyck were at this point in their careers no strangers to the small screen. Stanwyck’s show lasted only one season, and its demise gave her the opening to star in the Western melodrama “The Big Valley” four short years later, a role that would reinvigorate her image. 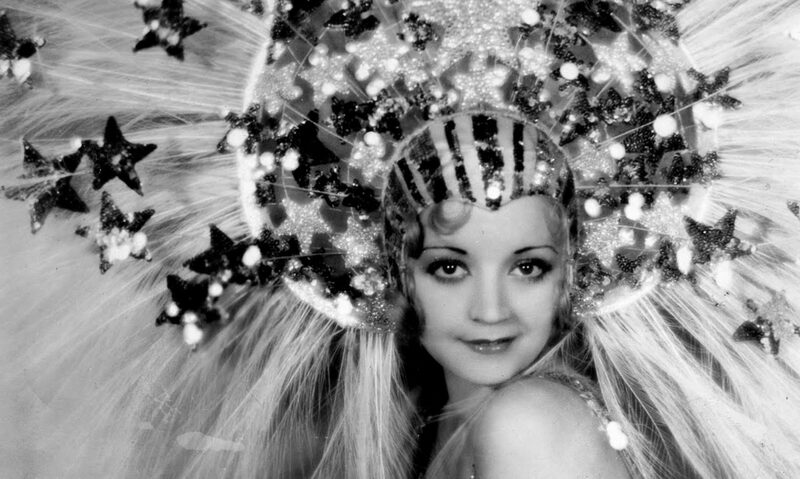 Blondell would flip between television and film roles the rest of her life, on everything from “I Love Lucy” to “The Love Boat”. But the reason I picked this episode is two see these two great stars in their final team-up. In Illicit they were both starting out (Stanwyck had only had her big break less than a year earlier, and Blondell was still on the cusp of breaking out) and Night Nurse saw the two as the ultimate pair of female buddies. 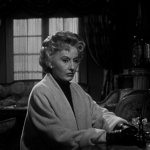 “Sign of the Zodiac” doesn’t exactly evolve their relationship, as their chemistry isn’t quite the same– Stanwyck has become far more dramatic than natural in her older age, hammering home every note of her performance. I can’t blame her for playing to the rafters– it is television, after all– but it’s so stilted that it subtracts from the show’s charm. 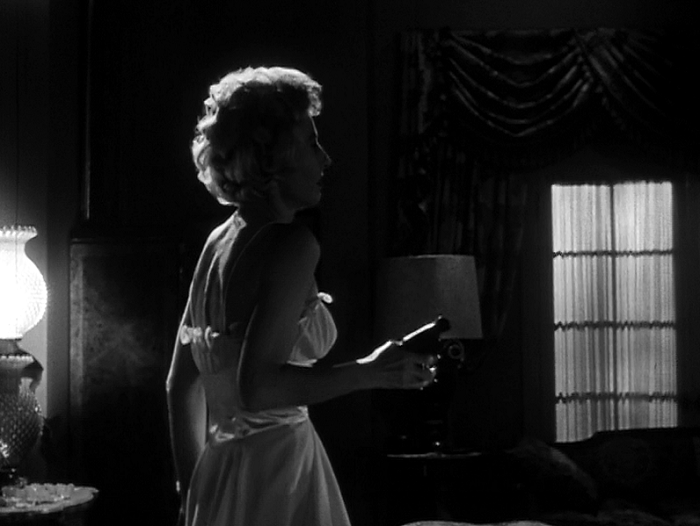 Blondell is great, sinking much more into her character and aided by Tourneur in the final reveal. I always loved how both actresses grew tougher as they grew older, but in different ways. Stanwyck went rough and tumble, while Blondell became wizened and flighty. 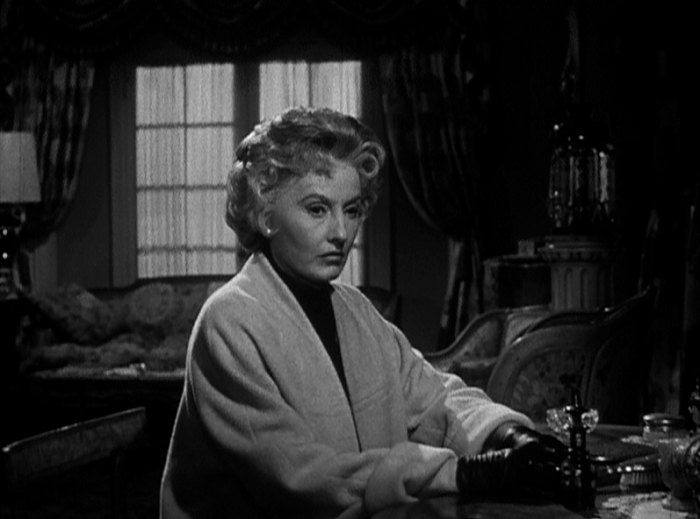 Stanwyck was a great strong matriarch, Blondell the perfect flighty aunt. 30 years after their last iconic team-up and countless films, Joan Blondell and Barbara Stanwyck remained two strong, tough dames. “The Barbara Stanwyck Show” is a good time capsule, and, for this episode, a nice opportunity to see two greats together again in a stylish if unsatisfying piece. 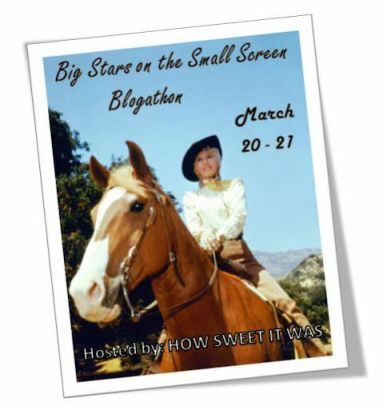 This post is a part of the Big Stars on the Small Screen Blogathon hosted by How Sweet It Was. Head over to their site and check out some of the other cool entries! The first volume of “The Barbara Stanwyck Show” is reviewed over at DVD Talk, but this one is on the second volume. That one is covered here, and they are very taken with this episode. This episode is available in “The Barbara Stanwyck Show” Volume 2. You found a natural for the blogathon. Joan and Missy together again. “Duryea is slimy but appealing…” That’s our boy! Ha! Yeah, knowing that this was their last time together, I really wanted to cover it. This blogathon thankfully gave me the excuse! This sounds very interesting. 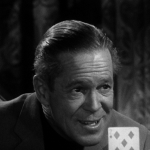 Stanwyck and Blondell together again – and with Dan Duryea! Couldn’t ask for more. Pretty much. Tournier behind the camera seals the deal, too! Danny, while it doesn’t sound like a banner episode of Miss Stanwyck’s anthology series, I agree that the appeal of the cast and director trumps all. Loved all your screen caps. 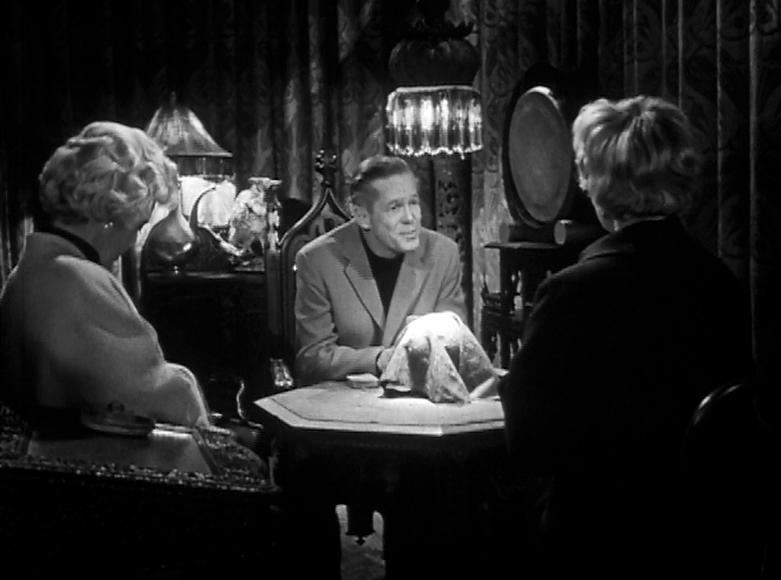 An unexpected and intriguing choice for this blogathon–well done! Oh boy – that sounds just yummy! What an excellent choice. And may I say that your blog is just beautifully done. I love visiting here. Thank you Marsha for the nice words! The blog is, as always, a work in progress. So much to do, so little time! Too bad these two ladies wren’t paired more often! And this episode for sure had a great cast, behind and in front of the cameras. 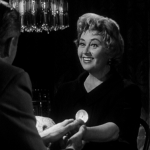 Am I the only one who thinks Joan Blondell looks a little like Giulietta Masina in these pictures? Thanks, Le, that’s a great observation about Blondell. And I checked it out– I always enjoy your posts. Thanks for coming by!